Following an outcry on social media and a flurry of contacts to City officials this week about the cutting down of some beloved trees in Flamingo Park, City Manager Jimmy Morales halted further removal until the City can review its plans. Meanwhile, the Flamingo Park Neighborhood Association will discuss the issue at its meeting Monday evening. “Plans for this project were developed and designed as part of an overall plan to upgrade and renovate the park and a series of community outreach meetings have been conducted since 2014,” Morales wrote. A tree work permit was issued in October of 2017 for the removal of 11 trees, planting of 42 new trees and relocation of 13 trees. “This permit included the removal and mitigation of the Melaleuca trees, which are considered Category 1 invasive, prohibited species,” he said. 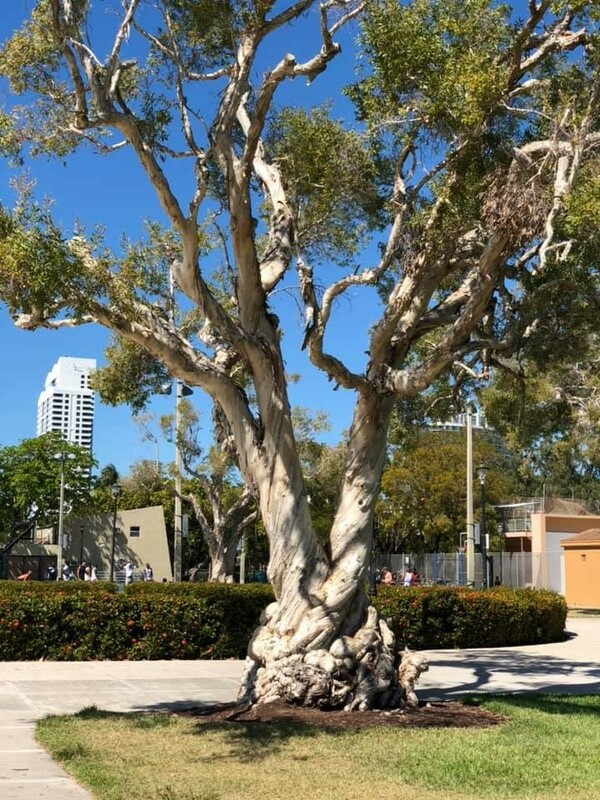 “While prohibited species are exempt from permit requirements under City Code, the project was designed to ensure that the canopy removed was mitigated in the form of new Florida Friendly canopy trees which are better suited for the South Florida environment. Melaleuca quinquenervia is one of the most invasive species on the Miami-Dade County prohibited species list and part of a management program spearheaded by the USDA,” Morales wrote. The City issued a Notice of Non-Compliance to the contractor and “directed [the company] to cease all tree removal activities until such time as the Administration can further evaluate the justification for the removal of any additional trees,” Morales said. Eventually the comments on social media became mixed as more residents weighed in on the invasive nature of the trees and a desire for more shade cover from different species of trees. The Flamingo Park Neighborhood Association will discuss the tree removal at a meeting Monday evening starting at 5:30. It will be held in the Flamingo Park Tennis Center. The 42 new trees that will be planted, according to Morales, include Gumbo Limbos (3), Verawood (6), Bridal Veil (9), Pigeon Plum (5), Orange Geiger (4), Wild Tamarind (14), and Mahogany (1). They will be installed in the next 30-60 days.